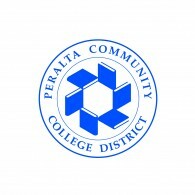 OAKLAND, Calif., March 22, 12 – During its regular Board Meeting session on Tuesday, March 13, 2012, the Trustees for the Peralta Community College District unanimously accepted the recommendations of the Chancellor Search Selection Committee to forward five candidates for finalist interviews for the next Chancellor of the four-college district. The District will host two public/community forums on Monday, April 9, 2012. The first is scheduled for 12 noon to 3:10 p.m., and will be held at Berkeley City College, 2050 Center Street, Berkeley; the second will take place during the evening from 5 – 8:10 p.m. at the Peralta District main office, located at 333 East 8th Street in Oakland. Members of the public are eagerly encouraged to attend these community forums to meet the potential Chancellor finalists and hear their plans about the future of the District and the colleges – Berkeley City College, College of Alameda, and Laney and Merritt Colleges in Oakland.